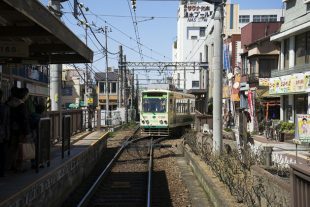 The streetcars which once crisscrossed Tokyo have almost completely disappeared, made obsolete by the faster underground metro. But in the northern neighborhood of Minoya, we found a lonely tram which has survived into the present day. The Arakawa Line runs to Waseda via Asukayama Park, where we disembarked to visit a museum dedicated to paper.